If you love that upright and ornamental look that conifers have to offer but don’t have the space, why not grow your own tiny succulent version. 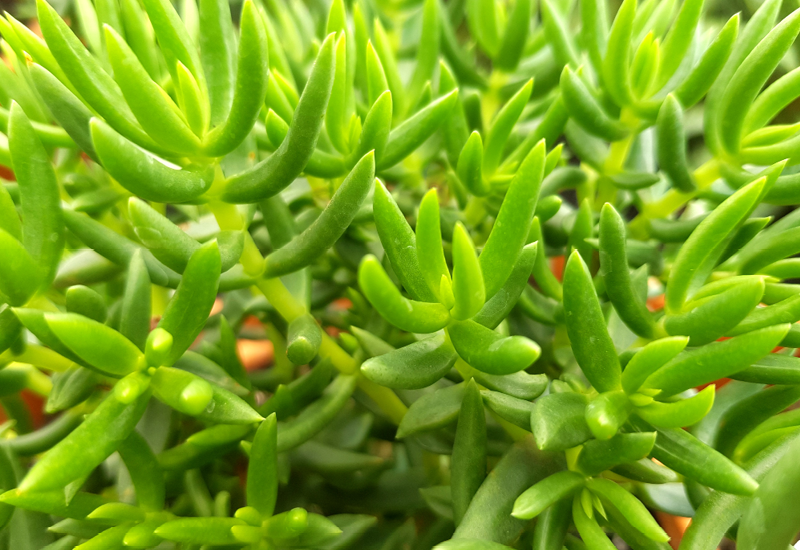 The sparce, pointed leaves of Crassula Tetragona resemble a miniature pine tree, and it is very popular as a bonsai specimen when trimmed at the base to reveal a “trunk” – A couple in a small pot make a beautiful bonsai forest. It will grow to around 1 metre in height if planted out in the garden, and looks quite interesting as an informal hedge.